Bygone Blades are pleased to offer a cleaning and restoration service. Please contact Richard with a description of the required work including photographs. I will then contact you to discuss your requirements and to give you a quote. One of the more common requests that I have is for the replacement of worn or missing shagreen and the re-wiring of sword grips. For this I charge a standard £80 plus return postage. Below are some of the recent intensive restorations that I have completed. 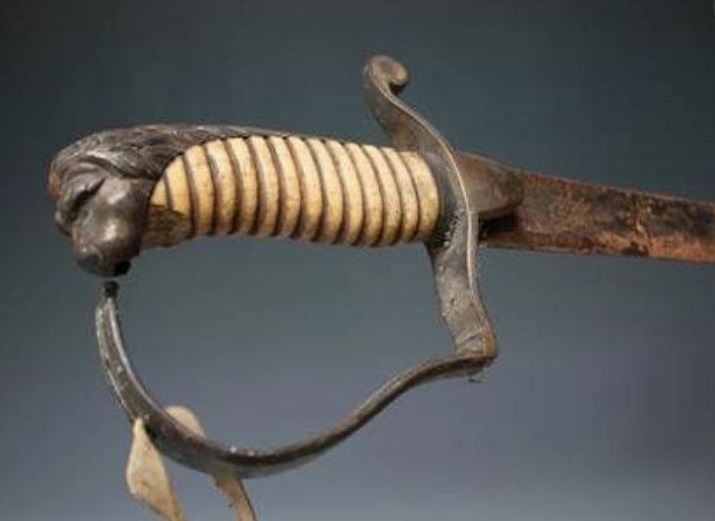 This badly damaged P1796 Light Cavalry sabre required a complete restoration. You can see more about the restoration of this sabre if you visit my blog. This P1803 Flank officer's sabre required a full hilt restoration (repair to the guard, ivory grip & re-wiring) and cleaning. * Attached photo must be a Jpeg under 1mb.